Date: Feb 13 2019, 6:30 p.m. 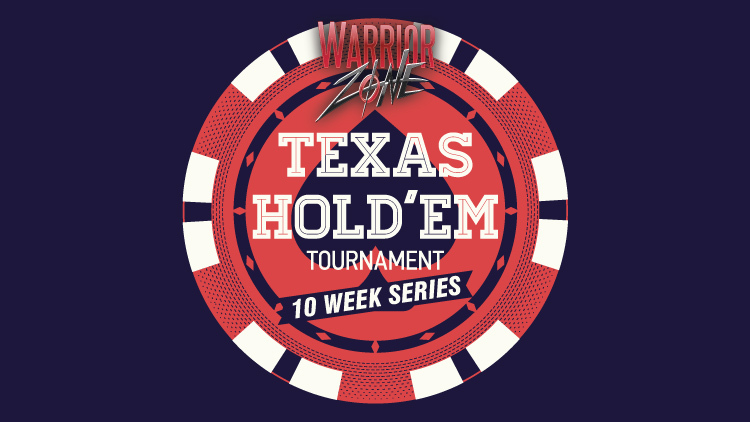 This event runs 10-weeks in a row, and players earn points for participation and placing each week (full attendance is encouraged for earning points, but is not required). After ten weeks, the top players are brought in to play a final game on Week 11 to determine the champion! $7 weekly buy-in. All 1st place winners of the weekly tournament will receive a $50 Visa gift card. All monies collected will be paid out at the final game in Week 11. All levels welcome. 18+ with DOD ID card. Sponsored civilian guests may attend as long as they too are over 18 and have a valid ID. We look forward to seeing you! Questions: just message us on Facebook, or call 253-477-5756.